Find the adventure waiting around Macau’s every corner, from new ways to see the city’s most famous landmarks to activities you never knew about! 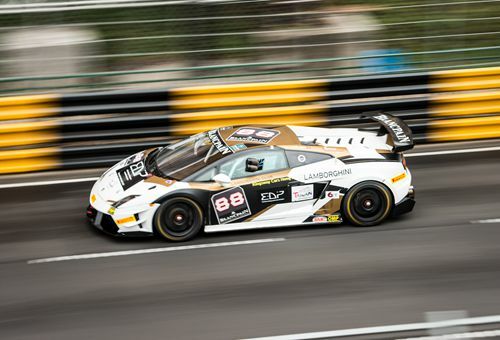 Yes, you can see many of Macau’s most famous ‘sights’ in a day or two, but dig a little deeper and you can find a side to the city that most people will never see – the adventurous side. 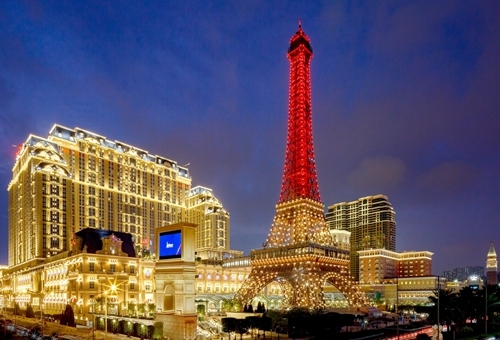 A necessity, if only to collapse into at the end of a long day, thrill seekers will find a home in rooms at The Venetian Macao, Sheraton, and Conrad, all bringing signature service to their guests. Your Bella Suite at The Venetian has enough space for you and a friend to relax after a long day, while the Sheraton, home of the traveling teddy bear, can arrange late checkout and Conrad’s signature service will make sure your adventure goes off without a hitch. Within the Sands Resorts family, you’ll find the tallest waterslides in Macau, tucked in beside the Pirate Ship at The Parisian’s Aqua World. Splash your way through the barrage of water, rained down from the children manning the water cannons on top of the ship to find yourself at the foot of 12 vertical metres of sliding. For a more dry experience within the resorts, make your way to the top of the Eiffel Tower and lose yourself in the view. Or, head to the theatre at The Parisian to take in Thriller: Live. Straight from the West End, witness the spectacular tribute to the king of pop that has delighted audiences around the world. When you’re ready to hit the town, talk to your concierge and get transportation arranged for the entire day, whether you stick to the city of make your way to the far side of Taipa Island. At the base of the Macau Tower, look up and take in the world’s tallest bungee jump from below. After you take in the view from the observation decks, strap in and wave hello to Macau, Zhuhai, and Lantau Island from a new angle as you swing from the Tower on your cord. A less extreme version is also available, called the SkyWalk, where jumpers can be lowered more slowly to the ground, smiling as you take in the views at slower speeds. Traditional thrills can be found at Macau’s racetracks, where both greyhounds and horses vie for the top prize. If you’re lucky enough to be in the city at the right time, be sure to cheer at the Dragon Boat Races, marvel at the international fireworks display contest, watch drivers speed around the track at the Grand Prix. When you’re ready to hit the track yourself, the Coloane go-karts are the way to go. Exercise your need for speed as you tear around the track, bringing yourself that much closer to the feeling of actually driving in the Grand Prix. If you have a bit more time, seek out a part of Macau most tourist never bother with: the natural side. Hiking trails, perfect for all levels, criss-cross Taipa Island, leading from the houses to the white sands of Hác Sá beach. 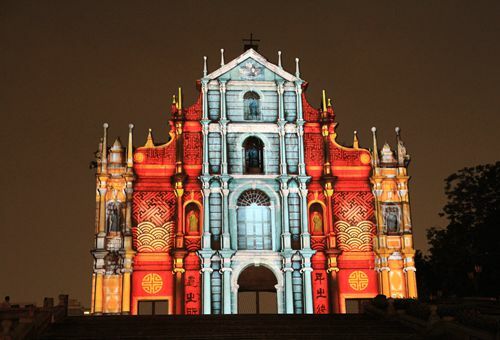 End your time in Macau with an afternoon at the wine museum, where you can take in the history of the grape, sample some of the wares, and make your way to the Ruins of St Paul’s to toast your last sunset in Macau and all the memories you’ve made here. Once you’ve made it back to the hotel, treat yourself to a massage to soothe aching muscles or calm your mind at the award winning Bodhi Spa. When you leave Macau, you’ll be refreshed and ready to hit the ground running at your next port of call.